You buy a game account Origin with the game Siberia 2. - After the purchase you get the login and password from the account, as well as the answer to the security question. - Access to e-mail is not provided, but you can change it to your own. - You will be the first and only owner of the account! 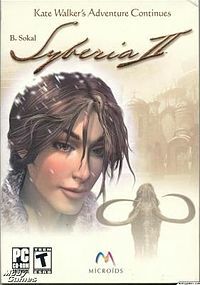 "Syberia II" (Siberia II, in the official Russification - Siberia II) - an adventure computer game. It is the second part of the adventure trilogy Syberia, created in the steampunk style by the French author Benoit Sokal.